Why Retire in Clearwater or Dunedin Florida? Are you getting ready to retire and thinking about all the beautiful places to end up? Wondering which location is best for you and why? Trying to make your dollars last longer? Kiplinger explains that “Florida is also one of the most tax-friendly states in the country for retirees. There’s no state income tax, and permanent residents are eligible for a homestead exemption of up to $50,000. which lowers their real estate taxes. Seniors may qualify for an additional exemption. State Sales Tax is 6%. Social Security benefits are not taxed. Retirement income is not taxed. Retirement income for IRAs, 401ks, Private Pensions, and Public Pensions are not taxed. The median property tax on Florida’s median home value of $159,000 is $1,686. There is no inheritance tax or estate tax”. You know that Clearwater is on the map when Trip Advisor announces that Clearwater Beach is the #1 Beach in the United States. Imagine if you lived in a city that has the top Beach in the United States? Just one of many reasons why people choice to live in Clearwater, Florida. TripAdvisor announced: “Florida’s Clearwater Beach was the number one beach in America, up three spots from its U.S. ranking one year ago, and capturing the top spot in the country it held in 2016. Award winners were determined based on the quantity and quality of traveler reviews and ratings for beaches on TripAdvisor, gathered over a 12-month period”. Whether you have a few hours or an entire day to explore, there are plenty of Tampa attractions awaiting you. On top of the abundant beaches in the area, there’s tons of thrills to explore. Take a look at some of the area’s best attractions for you, your family and visitors. Are you drawn to water and animals? Whether you have a few hours or an entire day to explore, Tampa Bay has its share of world-class aquarium attractions. Here’s a great list to pull out when your family and friends visit and you can take them to one of these aquariums. Need more culture in your life? Want a great list of exciting museums for family and/or guests that are visiting? Here’s a list of some of the exceptional museums in our area to explore. 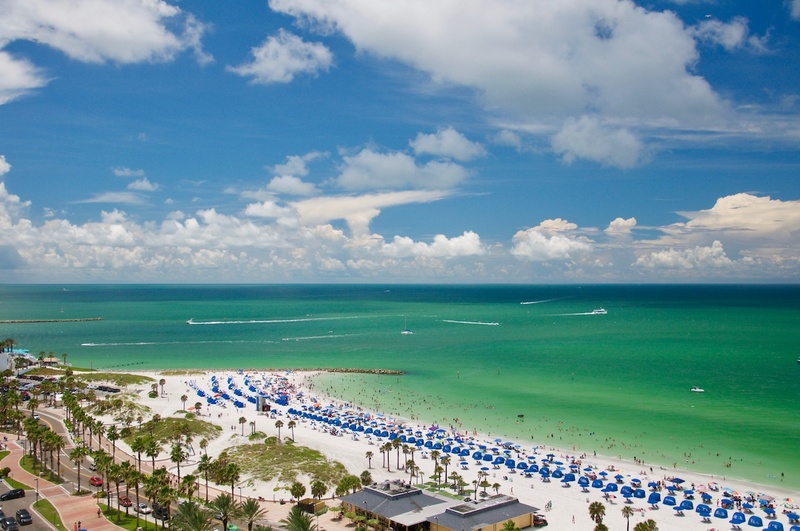 What is special about Clearwater? CBS News reports that Clearwater is one of the 10 best places to retire “situated about midway up the Florida peninsula on the Gulf of Mexico, Clearwater is the postcard perfect coastal resort town: Sun-drenched beaches, sailboats cheek by jowl with yachts in the marinas that line Clearwater Harbor, well-traveled bike trails, and a plethora of public golf courses nearby. With a population of 107,700, Clearwater is a small town, but should you need an experience that is available only in bigger cities, St. Petersburg with its Museum of Fine Arts, the Florida Orchestra, and major league baseball team – The Tampa Bay Devil Rays – is only 20 miles away”. What is special about Dunedin? Unusually good access to beautiful beaches. Interesting downtown. Home to spring training for the Toronto Blue Jays. Many parks and an outstanding recreation program and resources. A 39 mile of bike/pedestrian trail that bisects downtown. Money Magazine named Dunedin “1 of 6 terrific towns on the water”. Dunedin Highland Games is an annual celebration of Scottish music, dance and sports. 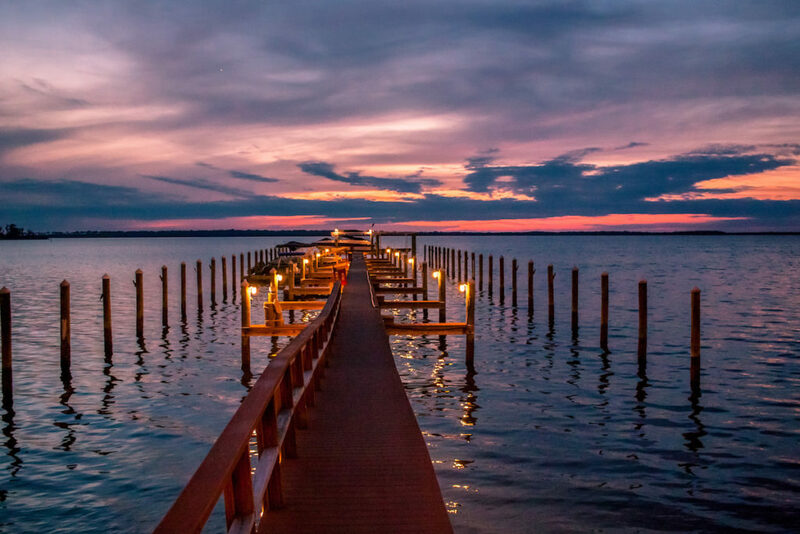 “Situated along the west central coast of Florida, just north of Clearwater, Dunedin (“Dun-EE-ton”) receives great reviews from just about everyone. Once an important seaport and the site of Florida’s largest sailing fleet, today this city of 37,000 people boasts five miles of shoreline. In the pretty marina, where weathered fishing vessels were once the norm, glistening pleasure craft of all shapes and sizes bob in the water. The cost of living meets the national average. Fifty-five percent of residents are age 45 or better. The crime rate is below the national average, and politics lean to the left. Thirty percent of locals are college educated. Racial diversity is minimal. Dunedin has grown by 6% within the last decade or two. Dunedin has a quaint, pedestrian-friendly Main Street with a colorful assortment of cafes, pubs, galleries, eclectic restaurants, shops and bookstores (no chain stores or commercial signs are here). Called the nation’s most walkable town, Dunedin is also bicycle friendly, with Pinellas Trail, a 39-mile long walking and bicycling pathway, running right through downtown,” report Great Retirement Spots.com. If you are interested in purchasing a home in the Clearwater Dunedin area, please contact DiGiovanni Homes. You won’t be disappointed. At DiGiovanni Homes, our mission is simple, create homes that reflect our principles of tradition, value and pride. DiGiovanni Homes has a tradition of building quality homes. The DiGiovanni brand is synonymous with quality craftsmanship, value and attention to detail. 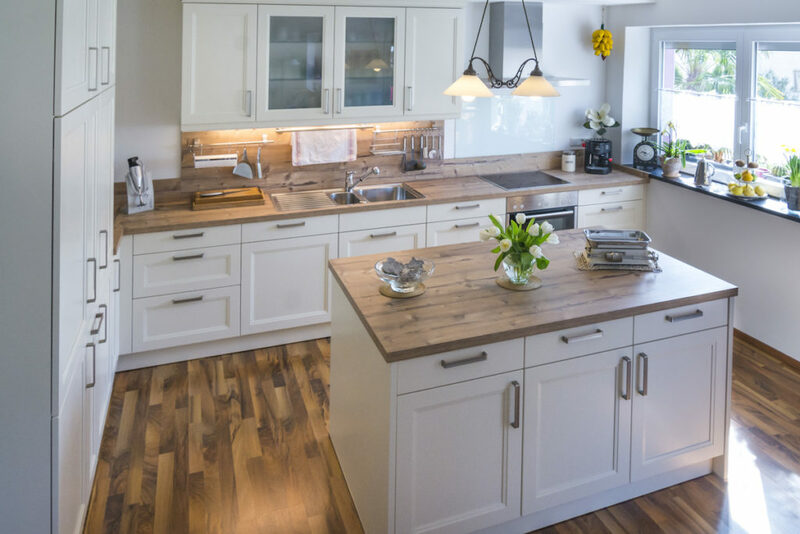 It is our goal to build a home you can take pride in, a home that reflects who you are by offering complete customization, professional guidance, and personalized customer service. If you’re ready to own a new home in Dunedin or Clearwater, check out one of the DiGiovanni Homes available! Our new homes offer spacious, open floor plans in the form of single-family homes, condos or townhomes in Tampa Bay’s best communities. Visit Digiovannihomes.com today to learn more! Can I Drive My Golf Cart on the Streets in Pinellas County? Does Your HOA Allow Pets in Your Community? Our mission is simple, create homes that reflect our principles of tradition, value, and pride. DiGiovanni Homes has a tradition of building quality homes; the DiGiovanni brand is synonymous with quality craftsmanship, value, and attention to detail. 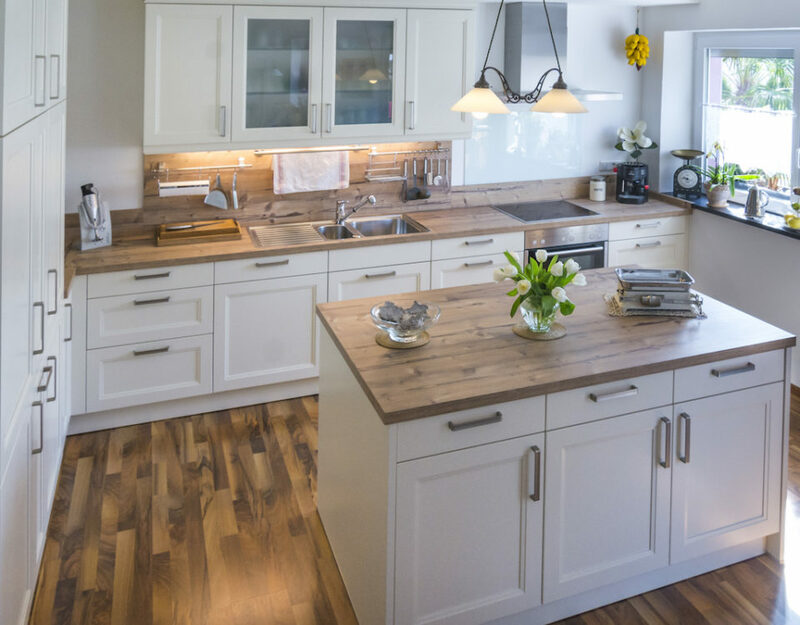 It is our goal to build a home you can take pride in, a home that reflects who you are by offering complete customization, professional guidance, and personalized customer service.